What’s the Chase? Great question. It’s the playoffs for NASCAR. Few things are universal in life. Everyone loves The Smiths. Everyone loves the cool side of a pillow. And everyone runs as fast as they can when they’re being chased. This campaign for the 2016 NASCAR Chase brings that universality to life in fun and unexpected ways. We made a TV spot, and two radio spots for the 2016 Chase. And then in 2015, we ran the BATTLE OF NATIONS campaign. 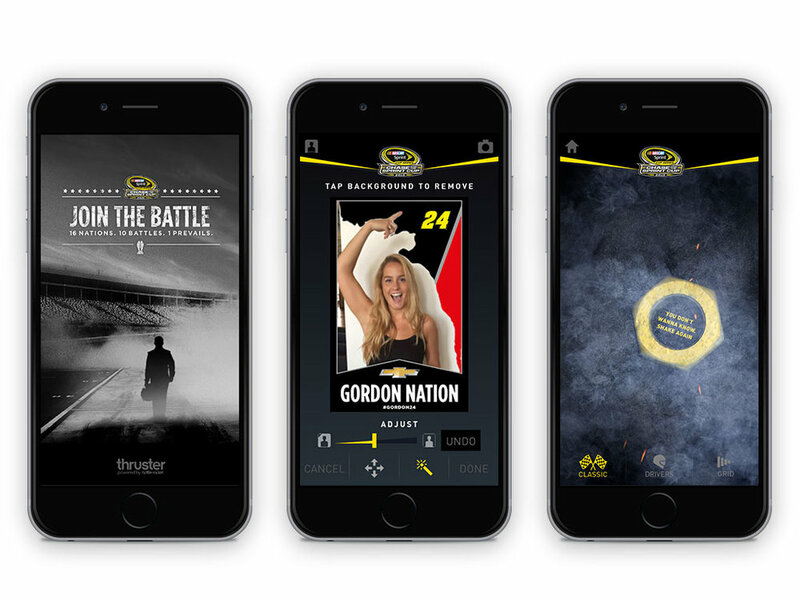 For this campaign, we developed a NASCAR Chase app, an online Chase hub, and fake infomercials that highlight the different modes in the app. Who doesn’t love fake infomercials?